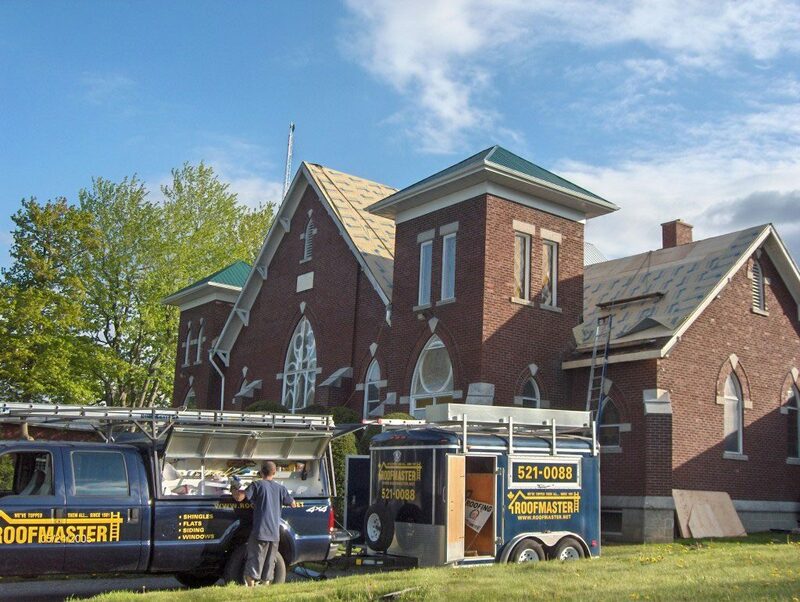 We at Roofmaster know what it takes to build, inspect, and maintain a metal roof efficiently enough so that it lasts not just for years, but for decades under proper care. 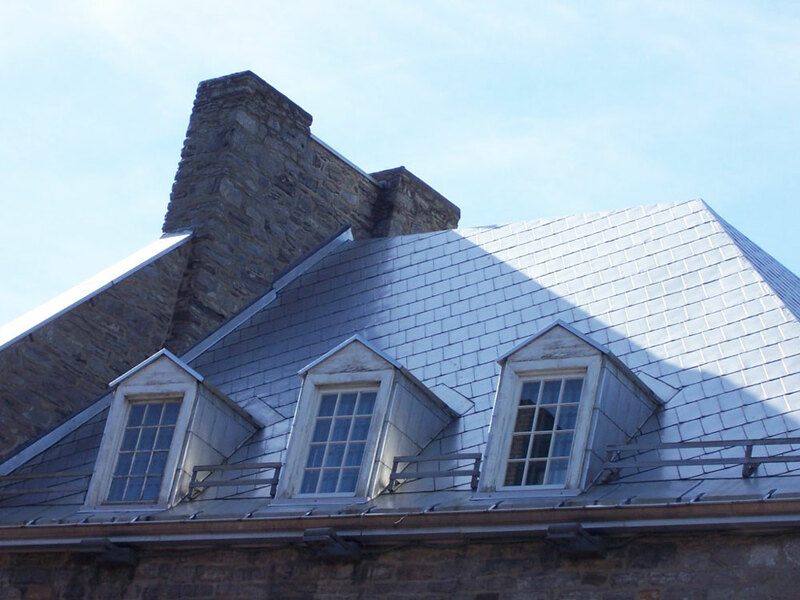 Today’s metal roofing is designed to have a similar appearance to traditional roof materials such as asphalt shingles, clay tiles, or slate roofing. However, today’s residential steel roofing is far more durable and built to last for a far longer amount of time. 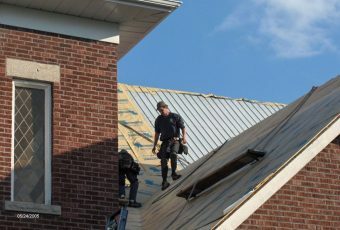 Additionally, depending on which type of metal roof you choose, you may not need to worry about hassles such as peeling shingles, cracks, or other forms of damage that can otherwise encourage roof and structural damage. General Info: The popularity of steel roofing is growing as consumers are becoming conscious of environmental issues, the longevity of roofing products, and curb appeal. Not subject to curling, cracking, mould, mildew, and other issues, metal roofs are lightweight & reflect the sunlight to keep your attic cooler, thus lowering energy costs. 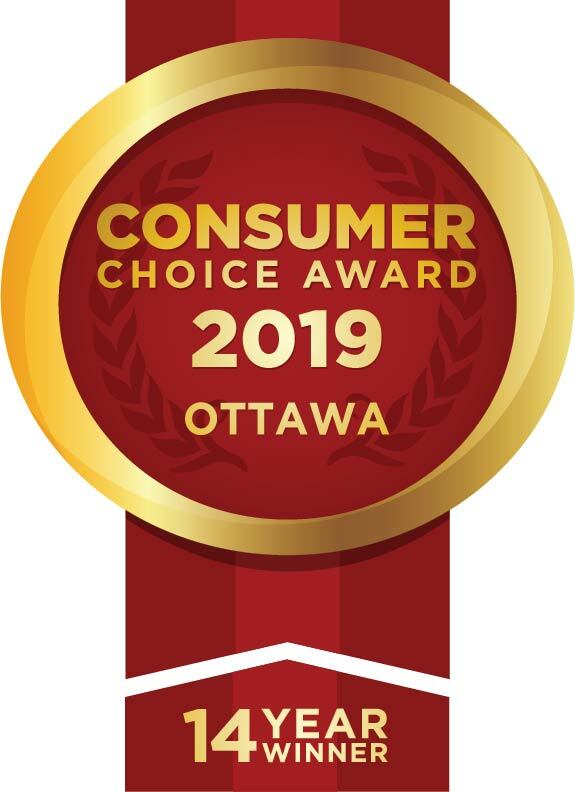 Unlike most other roofing products, metal roofs such as those made of copper, steel, zinc, or aluminium are completely recyclable, and despite being known as the “green” choice, the colour, texture and profile choices are unsurpassed. The selection is simply huge. 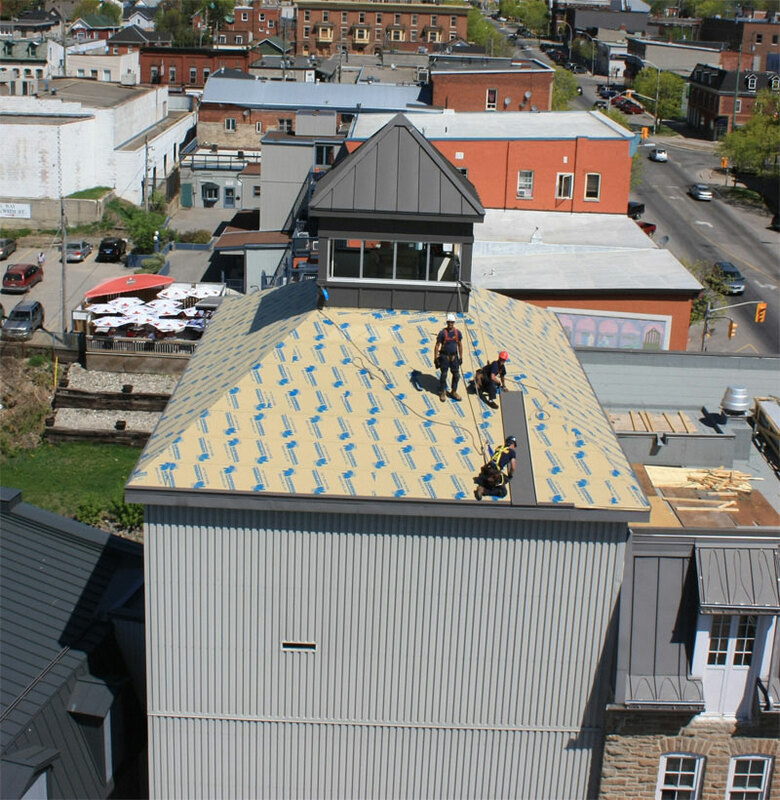 Under metal roofs, Roofmaster typically installs high performance underlays such as Titanium or in some cases ice shield membranes. 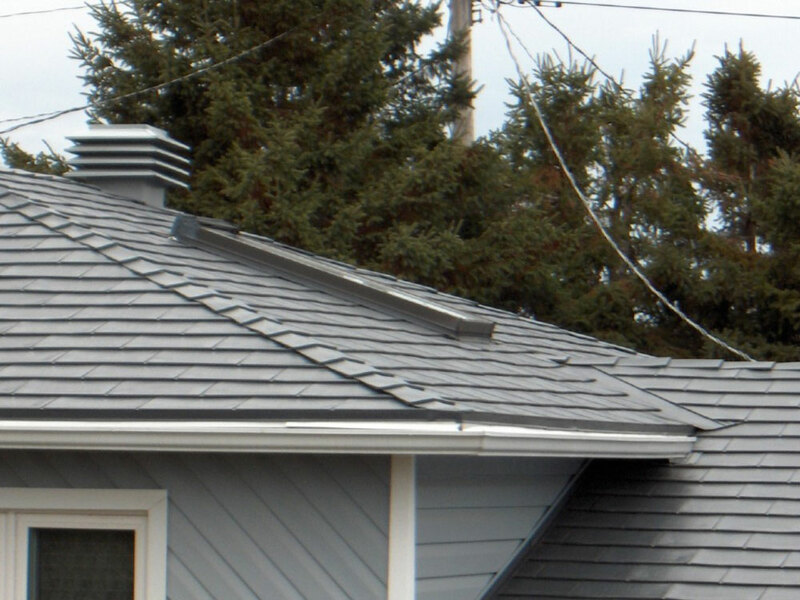 Metal roofs are usually vented with ridge vents at the peak. In planning one’s roofing needs, one has to be conscious of the fact that snow and ice slide off smooth surface roof systems – which is desirable in some cases, but not if its going to do so onto your driveway or entrances to your building. Standing Seam Roofs are the ultimate in metal roofs, characterized by a “U” shaped panel that can be up to 40 feet long. Its technical superiority and beauty comes from the fact that usually the length of the panel is not punctured with screws or nails. These panels are made to be secured with a concealed clip inside the standing seam, which means the fasteners are hidden from view. 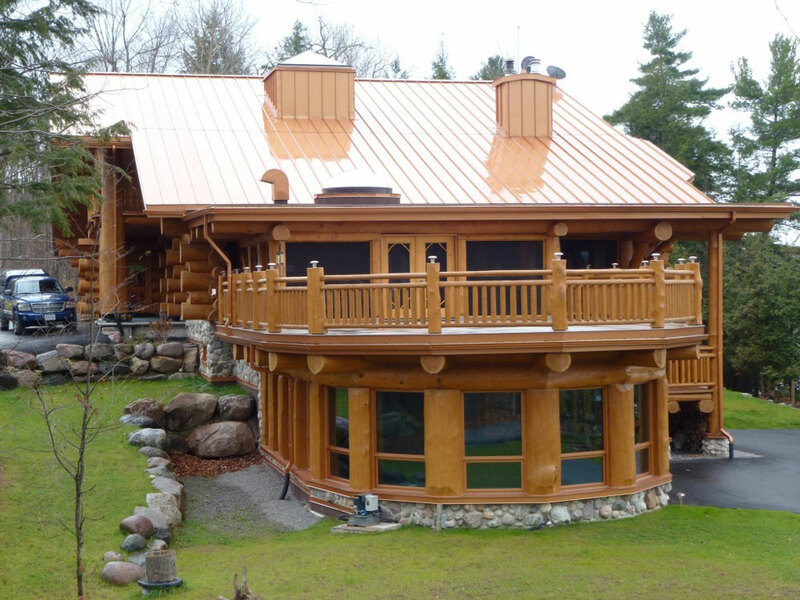 There are imitation standing seam roofs available, which incorporate a nailing strip as part of the panel. 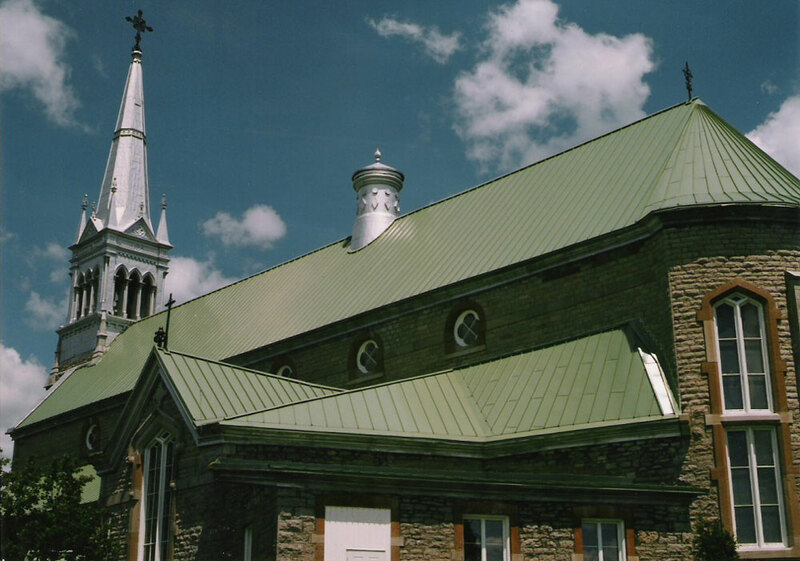 However, a true standing seam roof using concealed clips allows for expansion and contraction of the long steel panels as they can slide within the clip. Allowing such expansion reduces the potential of oil canning in long panels. 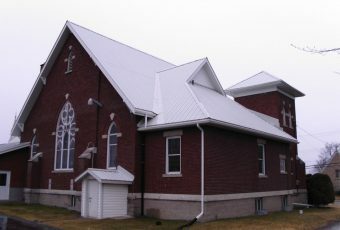 A big part of the look is also that the outer edges are hemmed over the drip edge and gable flashing to create clean, waterproof lines and a roofing system that is resistant to wind uplift. 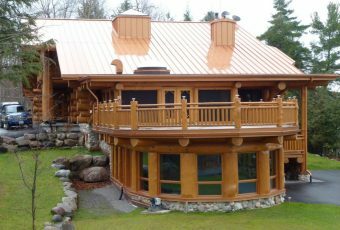 Most are made of 26g or 24g & sometimes 22g painted steel, but custom-made copper and aluminum standing seam panels are also available for specific applications like over bay windows or on vertical walls on storefronts. Various profiles of standing seams are available like Vertical Seam, Batten Seam, Mini-Batten Seam, etc. The most classic is the Vertical Seam. Standing Seam roofing, while being medium cost (about twice the cost of standard low grade asphalt shingles), is the longest lasting, most trouble free and least maintenance of any sloped roofing system available. 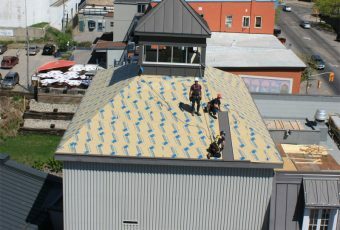 Standing seam roofs are a specialty at Roofmaster, where the staff and owners have been installing different variations for over 30 years. Metal shingles and tiles have in recent years mushroomed in variety and popularity in the residential market as homeowners want the benefits of metal roofing, while maintaining a tiled or shingled look. Available in all types of shapes, sizes, textures and colours, and made of copper, steel, zinc, or aluminum, the choices again are mind boggling. Some are small individual interlocking shingles, others are wider panels with several tiles imprinted imitating cedar shakes, pine shingles, clay tiles, slate tiles, or just some new funky stuff that does not fit former categories. Some tiled effect metal roofing is also available in long sheets meant to simulate the Spanish clay tile look but easier to install. Others are diamond shaped. 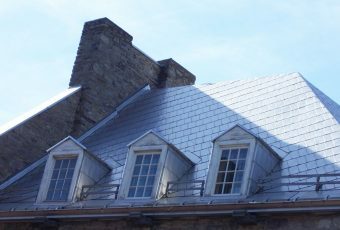 To account for snow sliding off smooth steel or rubber tiles, some manufacturers offer a granulated surface on the metal shingle to provide the benefits of metal roofing and the traditional look of asphalt shingles while snow and ice don’t slide off onto driveways and entrance ways where it is not desired. 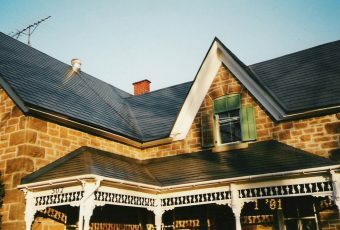 Metal shingles and tiles are both expensive to buy and labour intensive making it the most expensive of metal roof options, 2 to 4 times the cost of a low-grade asphalt shingle roof. It all depends on the desired look and warranty. Manufacturer warranties range from 30 years to 50 years for most of these products. Ask your salesman at Roofmaster for information. 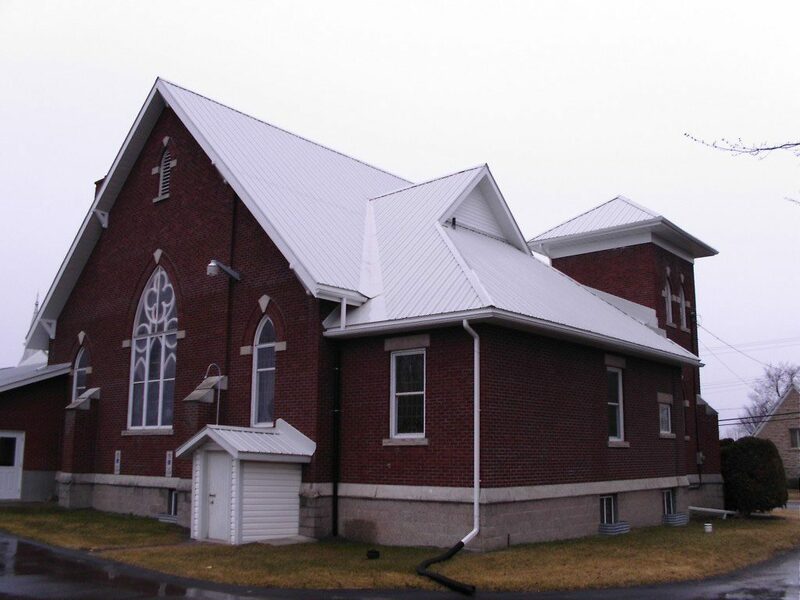 Ribbed profile metal roofs are made of painted steel, and come in long panels up to 40 feet long, and the manufacturer paint warranties are in the nature of 40 years. Several profiles are available to choose from in terms of number and height of the ribs. Typically, these panels are screwed onto the roof substrate right through the ribs. Several gauges of steel are usually available. 30-gauge is the thinnest and not something Roofmaster likes to install as its very flimsy, and easily bends, kinks, or dents. The longer the panels, the more difficult it becomes to handle. We strongly recommend 28g as a minimum, and preferably 26g for longevity. Ribbed profile steel roofs are the least expensive of the metal roofs and hence the most common. 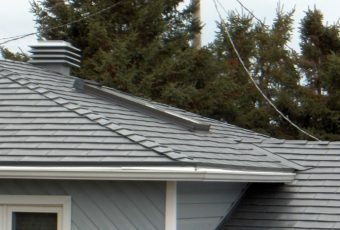 On a typical home, a ribbed profile steel roof will cost about 30% more than a standard asphalt shingle roof, and each increase in gauge will cost about $1000 extra. Roofmaster’s selection of metal roofs come in a wide variety of styles, configurations, and sizes. Highly portable and lightweight, these materials are also more durable and guaranteed to last for longer than their traditional counterparts. 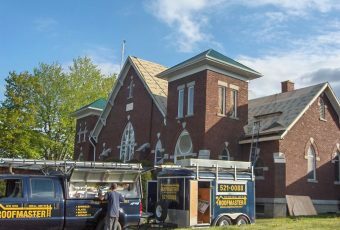 If you’re in the market for high-quality metal roofing that you can depend on year-round, it’s important to secure the most efficient and detail-oriented service in the area. 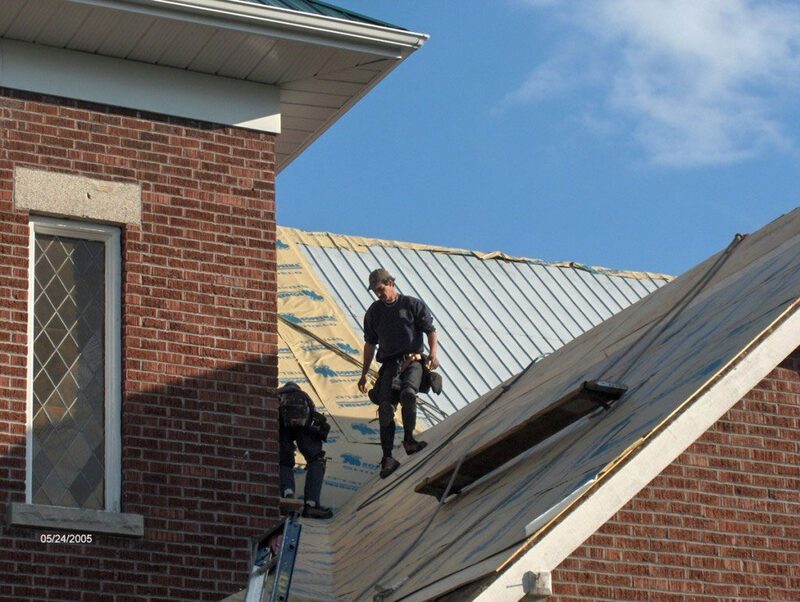 Contact Roofmaster today for the services of our professional roof installation team, who also specializes in the treatment, fitting, maintenance, and repair of metal roofing.